My Life as a Semicolon ; ): Can You Identify With This? I can't decide if this is a Very Special Episode or merely incredibly self-involved. Either way, it's an extension of White Guilt. Or Jewish Guilt. Which is stronger? I have lived the majority of my life with the privilege of being a straight, white, well-educated, upper middle class man. The only hitch in that identity has come when filling out demographic forms: I've always checked off "Caucasian" as my race, mostly because "Jew" is not offered, and I've always been afforded the perks of being part of the white hegemony. I guess ethnicity would be a more precise qualifier. I'd glady color in Jewish . If the question delved more into religion, I'd struggle. I may be a Jew and Jewish, but I am hardly Judaic. I remember learning about The Holocaust in school, I asked myself questions about what it meant to be Jewish and how far I would go to to reject or deny my heritage in order to save my own or others' lives. Ultimately, that probably has less to do with my definition of what a Jew is versus the definition held by those who hate me simply for who I am. I probably have more qualifiers than they do. The few times I was in the minority (as a Jew in England, Alaska, and Maine), it was primarily embraced as a novelty and never uncomfortable, except when regaled with, "I once knew another Jewish fellow..." stories. I also once infiltrated the Oral Roberts University bookstore with another Jewish friend and felt like we had eyes of suspicion on us from campus staff and security, as if we might suddenly break into a Fiddler on the Roof medley. I suppose some would argue that if I don't want to be ethnically profiled, I shouldn't go walking around with this nose. This contemplation has all surfaced now because we're going through a crisis as a country, most recently accentuated by the white supremicist rally and counter protests in Charlottesville, West Virginia. President Trump couldn't help himself from saying that the violence in Charlottesville was on "many sides," which I think he truly believes was an insightful way of acknowledging that conflict only arises when there are opposing viewpoints. If only we had a single opinion and everyone agreed with it, things would be fine. Trump doesn't think unity is agreeing to disagree or agreeing that hate is wrong in all situations, but that if we all agreed with him, there'd be no dispute. The man wouldn't know insight, nuance, and self-awareness if they beat him over the head. I also think he says such things for the potential opportunity to grandfather his vindication, as he did with Antifa's violent response to Alt-Right rallies in Berkeley. But back to me and my identity crisis: I've been promoting a disability self-identification campaign at work as part of the Diversity & Inclusion effort I'm helping lead. The value of varied perspectives on the world and the comfort and freedom to espouse them have long been principles I've held; but -- as I've been saying -- I would never have lumped my milktoast self in with a "diverse" crowd. Now -- as a person with a disability -- I have become a member of the the fastest growing minority in the world (so says the U.N.). Asking my co-workers to choose that identity, however, has proven challenging (even if for the larger purposes of demonstrating how the company embraces varied viewpoints and enabling support systems and increasing empathy for others experiencing similar challenges). For one thing, disability has a stigma. Accepting your disability, to some, implies a surrender to weakness. I prefer to think that accepting who you are over who you were or who others would like you to be demonstrates a strength of will that supercedes any loss. The semantic label of being "disabled" is also challenging, as are the implications that it should be the goal of every person with a disability to be re-enabled or "fixed". It's been suggested to me that, taken literally, disability applies to those who've suffered an event which removed certain abilities. Thus, someone with a congentital impairment, who has never known a life with, for example, sight, hearing, or bi-pedal locomotion, is not in fact disabled but rather lives a full life of being differently abled. I know that sounds like an overly-PC or euphemistic term, but I'd argue that it should be the goal of someone, like myself, who has become disabled to also find the power and satisfaction of becoming differently abled. In large part I say that because I'm tired of people drawing lines in the sand and calling it their Identity. It may be part of who you are, but it isn't all you are. Identity is an amalgamation of characteristics (including race, ethnicity, gender identity, sexual orientation, age, abilities, etc. ), not a single criteria . And Identity should be flexible enough that if you find much of it centering around hate and/or violence, you can choose another one. To wrap up this diatribe, I want to address a huge part of the current tension in the U.S.: racial profiling. 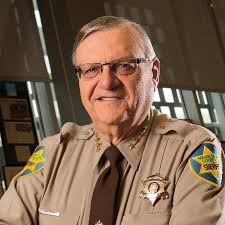 An unfortunate piece of that practice is related to law enforcement, as exemplified by the practices of Sherif Joe Arpaio, as well as President Trump's decision to pardon Arpaio's racist behavior as perfectly acceptable. Profiling extends to a ridiculous tool floating around Facebook, allowing you to find out, "your DNA ancestry," based on your photo. This unscientific experiment and exploration of Diversity& Inclusion have shown me how we are more similar than different: many minority experiences come out of self acceptance and the choices of how, when, and whether to share that identity with a society that may not be so tolerant. We don't all need to just get along. We need to get a clue.